I've been hearing a lot of debate lately. 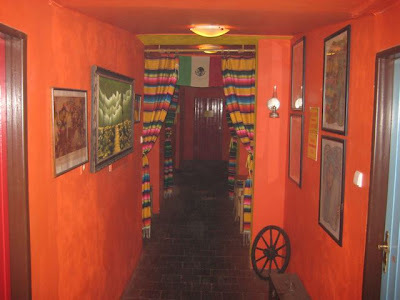 What's the best Mexican or Tex-Mex restaurant in Prague? There was no consensus, I'm sorry to say. Amigos was a restaurant that got a few mentions. I'd been there a few times, wrote a post (not one of my best), and found it was not bad, but nothing special. But the power of suggestion being what it is, I decided to try it again recently. I went with V for a late, mid-week dinner. It's a pretty big place with many rooms, and it was packed. V had gotten there ahead of me and said she had to fight for a table. What I noticed when I walked in was the thick, stale air. And not from smoke, either. It was the smell of too many humans in a confined space. The restaurant was in serious need of a good ventilation system. We sat in the room in the back of the restaurant at the end of a long, red hallway. I ordered the beef tenderloin quesadilla. It came with guacamole, a few jalapenos, salsa, and sour cream dolloped into the middle. I wish the toppings were on the side. Serving them this way always makes the middle of the quesadilla soggy. As soon as I took a bite, I realized there was something a bit off about the beef. It was old. Not rancid old. Just past its expiration date. It had a musty aftertaste that asserted itself more when I breathed out through my nose. Which is what I tend do when I am are eating. I didn't mention it before V took a bite. "The meat is old," she said. "Will you send it back?" "I'm hungry. I don't want to wait for something else. I'm gonna eat it. It's unpleasant, but still edible." So, I ate it. I didn't suffer any ill effects, but I kinda wish I did send it back. V told me later she felt bad, but it's hard to say what caused it since I was fine. There was one other odd thing. On the menu, the price was listed at 225 CZK. But looking on the bill now, I see I was charged 127.50 CZK. If there was a 50% off deal going on, no one told us. I really should read bills more carefully before I leave restaurants. V had veggie fajitas. She was very disappointed. 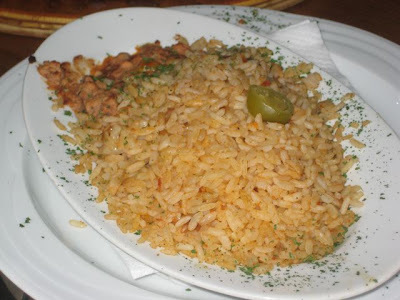 It came with dried out refried beans, and a lot of rice. 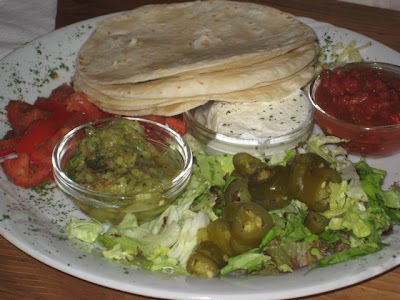 It also had flour tortillas, salsa, guacamole, jalapenos, chopped tomatoes, and sour cream. What didn't she like? No red beans, for starters. Also, there were just a few onions but plenty of broccoli. She thought the broccoli was just wrong. Other places like Neklid do better veggie versions (even though theirs has zucchini). And again, I see that it was 117.50 CZK on our bill and 235 CZK on the menu. Service was pretty good, considering how busy the place was. In fact, the waiters seemed confused about who was handling our table, and two different servers kept trying to wait on us and asking us the same questions twice. For drinks, we just had a couple of bottle of Mattoni sparkling water (23 CZK each). The final bill was a very reasonable 314 CZK. But the good price did little to take away our bad feelings about Amigos. No one plans to serve people bad dinners. 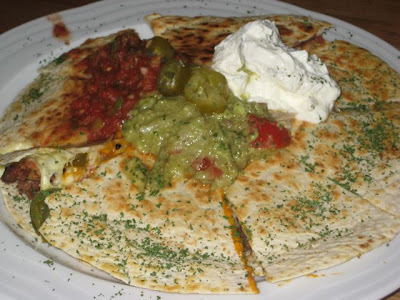 But the aged beef, the broccoli-laden quesadillas, and the stuffy air certainly spoiled it for us. I doubt we'll ever go back. I have tried Sonora. 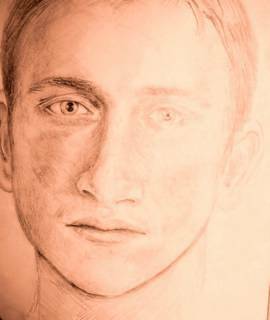 My one experience was not so good, unfortunately. I was there (in Amigos) one time and I don't think I'll go back. Food was quite average and service was very slow in spite of almost empty restaurant. Wow, you guys got me excited about a decent Czech-Mex place I didn't know about! Then I looked it up and discovered it's a place I went once about 10 (?) years ago and was so turned off, I never even attempted to go back. I've been to Amigos once. The food was terrible and the service slow. I've never been back since. I'll have to try this Sonora. I jsut went there on Friday and I too can say that I will never go back. The food was awful.. I ordered the chix. quesadillas and the chicken was NOT grilled but seemed stewed and had a old not fresh flavor... not to mention that they were made with SWISS cheese! And, like many Mexican places in Prague... WHY CAN they NOT USE REAL GUACAMOLE... they have avocados here... the jarred stuff is just nasty! AMIGOS has 30 pages of menu but I assume all is NASTY- why not cut the menu down and really concentrate on two-three pages of good mexican food! I truly would love to consult with them! I've been to Don Pedro's (a long time ago). I had the steak and it was good. But it didn't rock my world for the price. 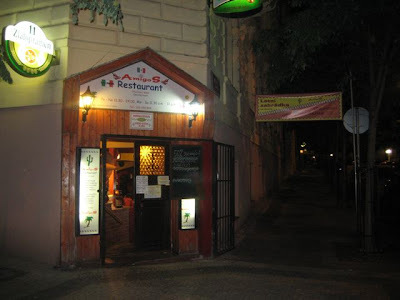 When I want a good steak (always rib eye), I usually go to El Barrio de Angel. Though it is always so dead there now, I'm wondering if they will stay in business. I have to be honest -- it is pretty unlikely I'll go to Don Pedro's again unless someone else suggests it. Just too many other places I like more. 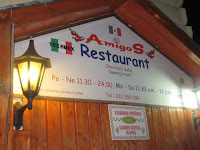 Amigos is dog food, but, honestly, I think sourcing good ingredients is a problem for restaurants all over Prague. Especially meat, it seems. You have to spend a mint to get a slab of protein that isn't shoe leather. 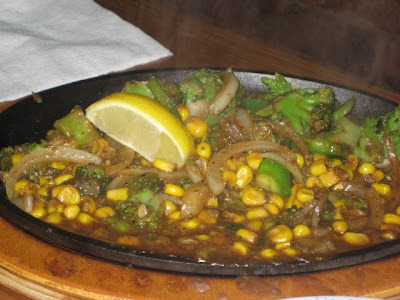 Well, browsed through your mexican posts to find some good suggestions for a mid-week meal and noticed you havent tried Azteca. Its next to Ujezd tramstop on the corner of Hotel Roma. 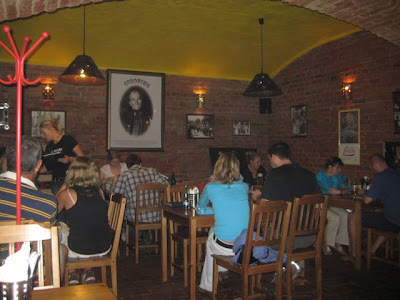 Been there a few times and still consider it the best mexican food in Prague. Fair prices as well, 120-200 for main courses. You should try it out! And make sure to try some of the delicious (yes, really) tequila that comes together with some kind of tomato salsa. Thanks again for this discovering blog!